Remember when actions actually did speak louder than words? Me neither; none of us are that old. 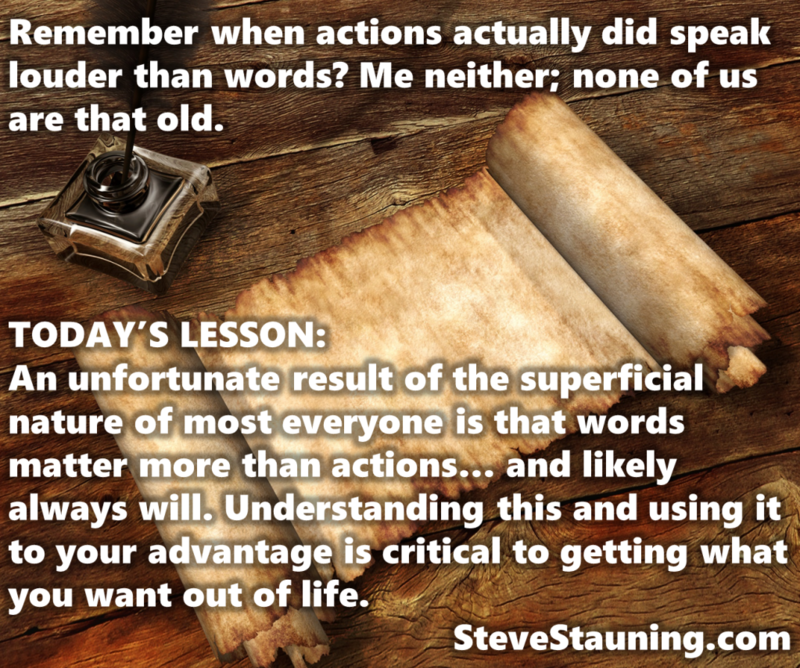 An unfortunate result of the superficial nature of most everyone is that words matter more than actions… and likely always will. Understanding this and using it to your advantage is critical to getting what you want out of life.